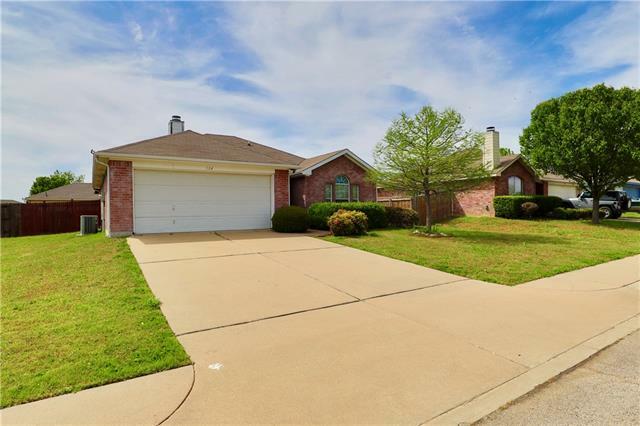 All Rhome homes currently listed for sale in Rhome as of 04/18/2019 are shown below. You can change the search criteria at any time by pressing the 'Change Search' button below. If you have any questions or you would like more information about any Rhome homes for sale or other Rhome real estate, please contact us and one of our knowledgeable Rhome REALTORS® would be pleased to assist you. "ONE HUNDRED ACRE RANCH between Decatur & Rhome. History of being an elite Arabian Horse Farm in the 50's. Fenced & crossed-fenced with level fields for cutting hay or grazing. Last cutting had 260 BALES in this drought year with no fertilizer or rain. 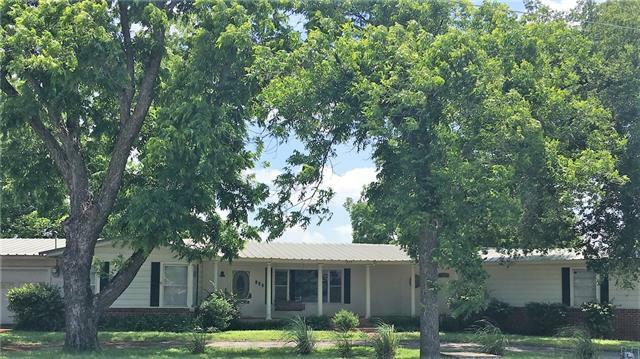 Comfortable Ranch home, 2-bdrm 2-bath home, wood floors & fp. SECOND HOME, 3-bdrm 1-bath home perfect for in-law, hired hand or rental. Improvements include a 120x200' pipe ARENA with sand, 3 loafing sheds, pipe horse pen, shop & huge original WOO"
"Stunning home with over twelve acres including woods & pond, with deer in your backyard! Wood inlay ceiling with custom decorative beams. Amazing island kitchen boasts stainless steel Kitchenaid appliances including convection oven & stainless barn style sink. Carrera quartz kitchen countertops, subway tile backsplash, & soft close custom cabinets. All new flooring includes engineered hardwood, carpeted bedrooms & tile in wet areas. Master retreat completely redone including oversized shower wit"
"Country life! Stately nestled on 10+ acres, this custom home features a wealth of amenities and features for the entire family to enjoy. Highlights for this home include: a private In-Law Suite, a dog wash area in the Utility Room, Gourmet Kitchen, substantial walk in closet spaces, a new storage shed and a considerable amount of covered patio. 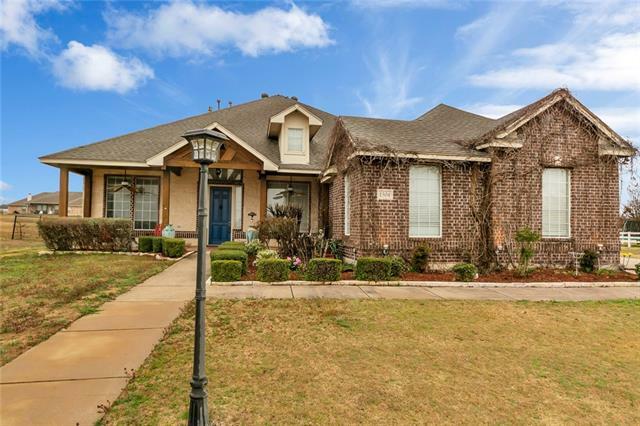 This well-favored home is located in the Northwest ISD and is only 30 minutes to downtown Denton and 35 minutes to downtown Fort Worth. 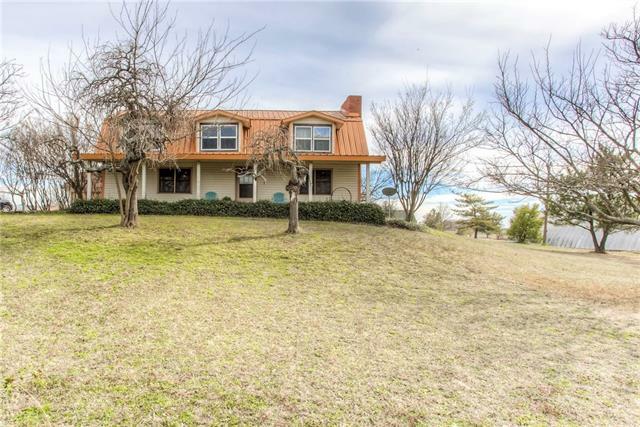 DO NOT miss a"
"Almost 10 acres, secluded brick home, open concept living area, Tile floors, large covered front and rear porches. 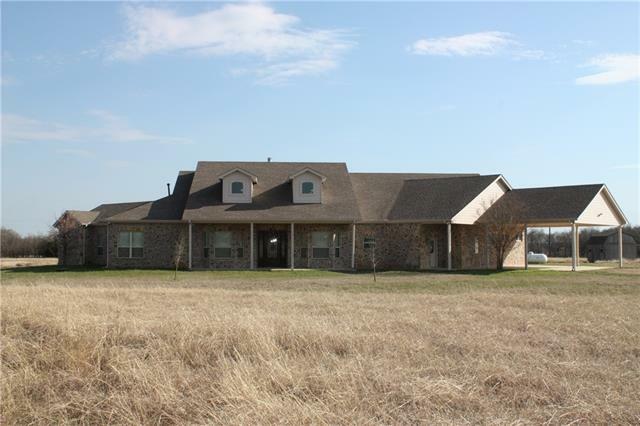 This property has 2 detached garages, a horse barn, various pens and out buildings. There is a 2500 gal water storage tank with a reverse osmosis filtration system. The property has a concrete circle drive way. Cedar top rail horse wire fencing. It has large trees and some open fields with some irrigation in place. This property is being sold as is no repairs will be made by the ow"
"Wonderful 2 story, 4 bedroom 2 bath log built home on 5 rambling acres. The home has 8 inch diameter Tennessee Heritage logs and has been clad with siding for protection and increased insulation and efficiency. It has inviting front and back covered porches, an oversized 2 car garage with an attached 10X24 workshop.In addition this property boasts a 40X60 steel Quonset hut building with concrete slab, electrical and double end sliding doors. No wait there is more!! NO CITY TAXES!! This parcel o"
"HOT DIGGIDE DOGS!!! LOOK WHAT WE HAVE HERE! 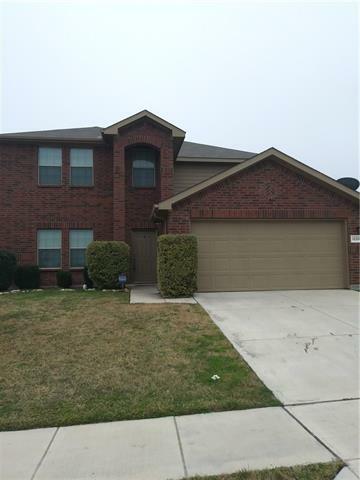 Pamper yourself in this NICE home that offers a split floor plan with 3 bedrooms and 2.5 baths, Jack and Jill at that! One half bath upstairs to accommodate the game room. Open concept, gas fireplace, office or study with built-in cabinets, formal dining room, breakfast nook, island in kitchen, double oven, sink in utility room and nicely landscaped. Now for the outside!! Take a look this large backyard with a covered patio, NICE pool that is all f"
"This property is breath taking,, large pine tree, large oak trees, apple tree, pear tree, lots of shade. This has fenced up that would work for horse or live stock, it is cross fenced. 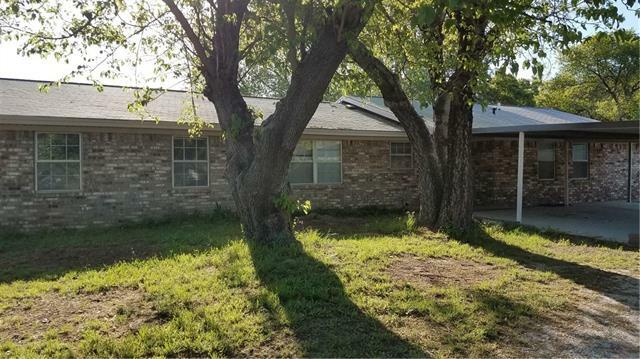 there is plenty of room for a garden, chickens country living but close to Haslet Texas, about 15 mins. The property has 2 well, 2 septic tanks, the roof is 5 years old. 3 bedroom and 2 bath. There is a game room that could be an extra living area or extra bedroom. 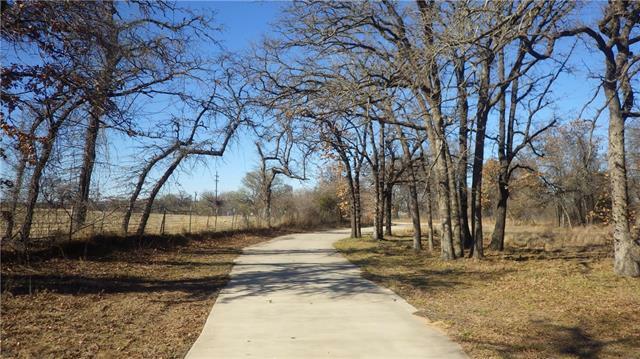 This is worth looking at the 7 acres has lots of"
"Incredible Property with lots of room to roam!! 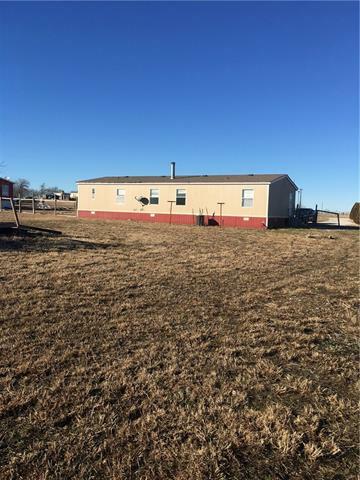 Spacious 3-2.5-2 ranch style home on 1.82 fenced flat acres. Metal Roof. Wood Floors. 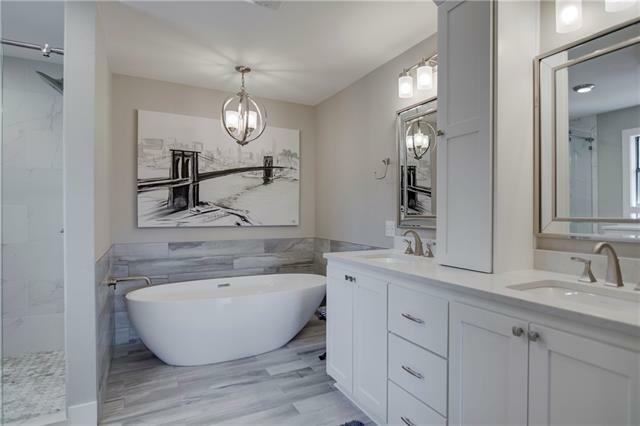 Luxurious master bath with jetted tub. Kitchen features island with Jennair indoor grill, double ovens, gas cooktop. Large covered front and back porches. Lot features Pecan, Peach & Apricot trees. Relax in the above ground pool. Circular drive, Feed & Loafing shed, 40 X 10 ft. secure storage container. Boat & RV parking and more." "Beautiful home located on corner lot. Designed for growing family and plenty of space for privacy. Kitchen overlooks family room and back yard.Granite kitchen tops in kitchen. Large master bath with large walk in closet on first level. Split level for privacy all other bedrooms on second level. Spacious game room on second level for kids entertainment. Fun house for all ages. Master planned community with pool, fitness center, play ground and park. A MUST SEE!" 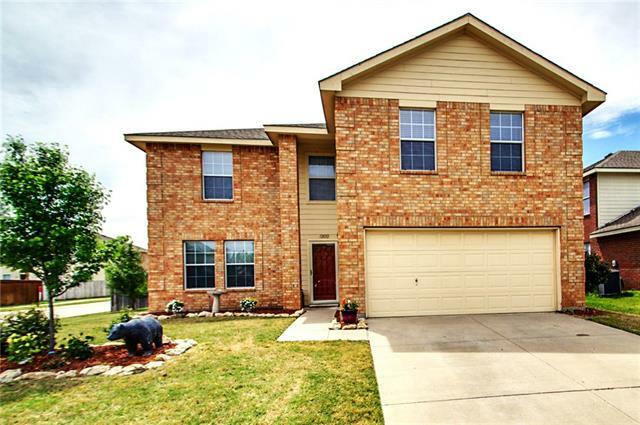 "Adorable 2 story home with loads of space! Open concept plan allows for entertaining friends and family with a LARGE eat in kitchen boasting new granite counters, sink and faucet! Upstairs you will find NEW carpet opening up to a over-sized bonus room and full bath! No shortage of space in the master bedroom with enough room for that king size bed. Great corner lot with good sized backyard to put your personality in! Great Amenity Center with Pool, Playground and Fitness Center." 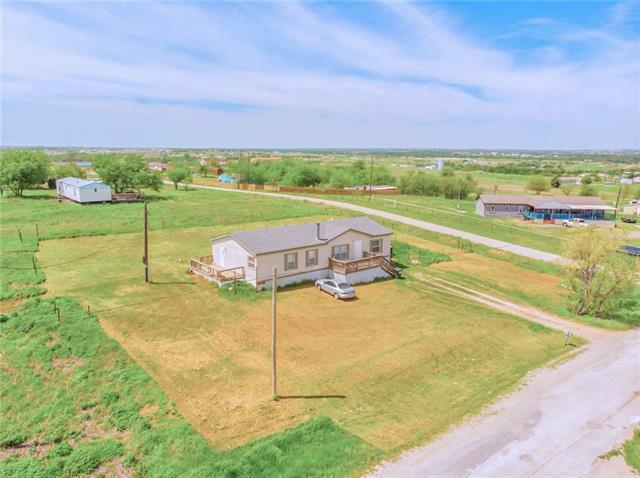 "MOBILE HOME ON AN ACRE OF LAND IN DIAMOND RIDGE." "Enjoy ROOM TO ROAM at this charming 3 BEDROOM 2 BATH home located on OVER 1 ACRE. LARGE KITCHEN features an ABUNDANCE OF MAPLE CABINETRY & BRUSHED NICKEL HARDWARE. DINING ROOM is OPEN TO LIVING. LARGE LIVING ROOM has a STONE FIREPLACE. BIG MASTER with EN SUITE BATH that has a HUGE GARDEN TUB, SEPARATE SHOWER, & DUAL SINKS. SECOND DINING can be a STUDY. Spend mornings & evenings relaxing on OVERSIZED DECK enjoying coffee & sunsets. CONVENIENT access to 287. This home is LIKE NEW! See it today!"